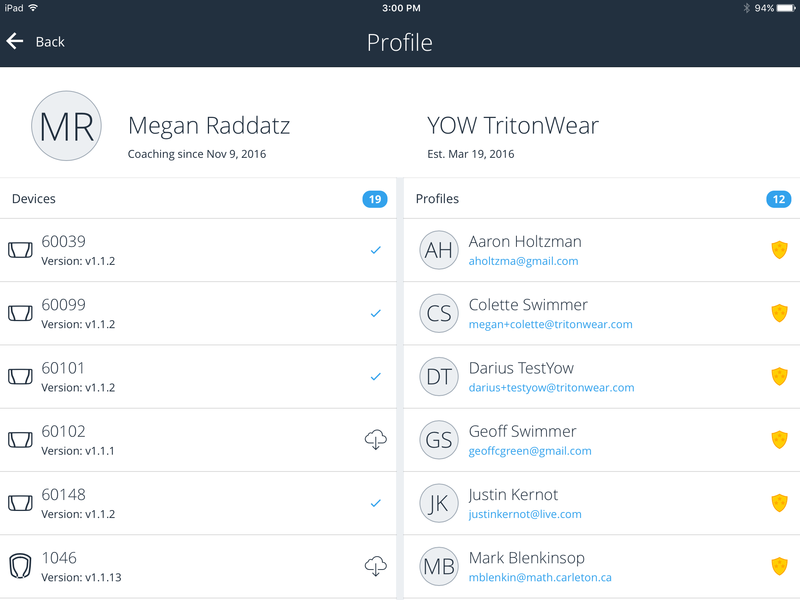 There are three ways to see if your devices are running the latest firmware: by using the Desktop App, TritonWear Live or TritonWear Insights. Once you have determined if an update is available, click here to learn how to update your hardware. 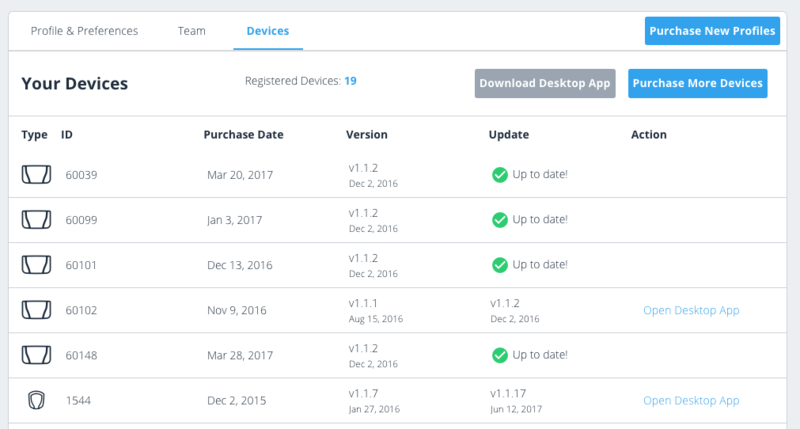 When you open the desktop app, you will see the version number each device is running as well as the last time it was updated. Go to the Settings screen, and open the Profile section. There you will see a list of your devices and profiles. If you don't see the checkmark beside a device, that device is not up to date. Click your username at the top right of the screen, and select Devices from the dropdown. You will see a list of all your units. In the Update column you will see a checkmark with "Up to date!" if your device is running the latest firmware. If you don't see the checkmark, that device is not up to date. From your Dashboard, tap the Menu icon (3 horizontal lines) at the top left of your screen, and select Settings/Profile. Under the Devices header, choose either Connects or Tritons, depending on the type of device you wish to check. 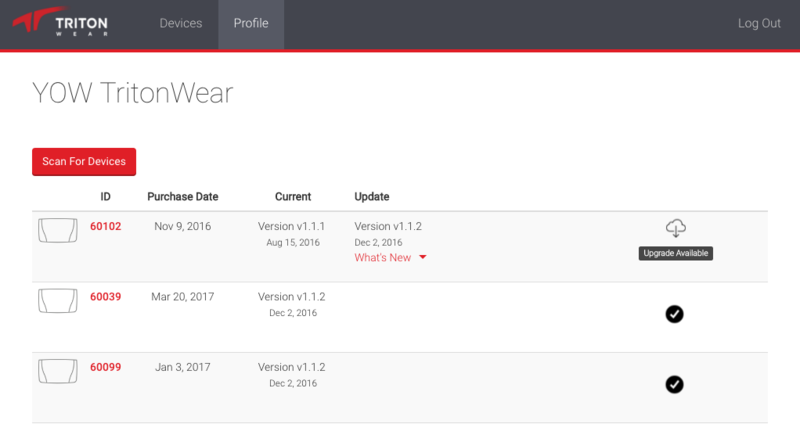 You will see a list of your purchased devices, as well as their version number. If the device is running the latest version of the firmware, it will say "Up to date". Otherwise, it will prompt you to use the desktop app to update the device.